You will obviously have your smartphone with you as we celebrate 2017. And the Twitter livestream of the Dubai fireworks will certainly add more party for Twitter users on New Year’s Eve. Emaar Properties and Twitter announced today that they are partnering to live stream the New Year’s Eve firework displays in Dubai to a global Twitter audience. This is the first live streaming deal Twitter has announced with a partner based in the MENA region. The live show will air on New Year’s Eve from Downtown Dubai at 11:30pm GST/11:30am PST and will be available worldwide to Twitter’s logged-in and logged-out audience on Twitter and connected devices. 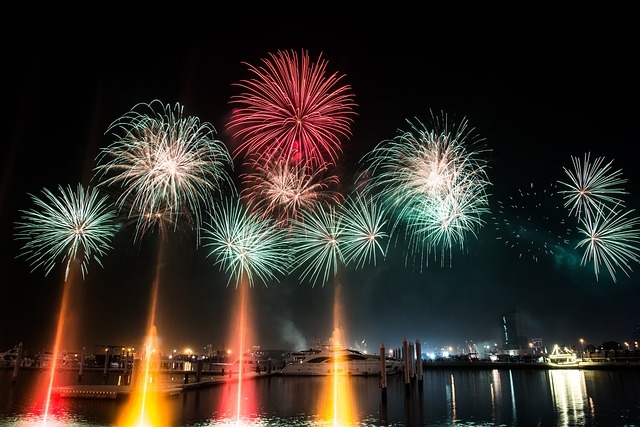 A series of fireworks crescendos will extend across the 500-acre Downtown Dubai and can be viewed from key locations across the city. Choreographed to a customized soundtrack, the pyrotechnics display will bring to life several milestone moments and artistic interpretations in fireworks of a falcon flying high, swirling comets, and Arabian dance forms. In specialized red and white comet shows and LED shows, the pyrotechnics will be displayed from Burj Khalifa, Dubai Opera and various landmarks. The finale of the event will feature a display in pyrotechnics celebrating Dubai’s current and future icons.